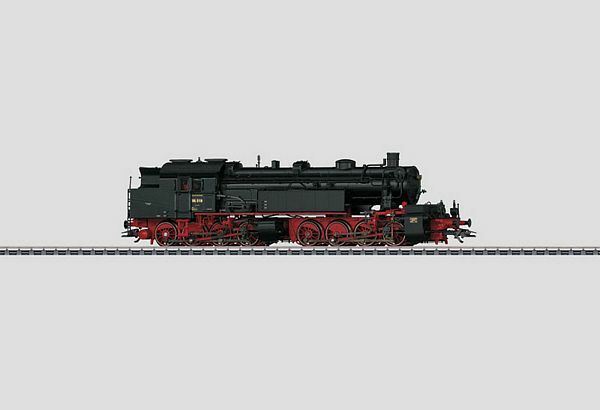 Model: The locomotive has an mfx digital decoder, controlled, high-efficiency propulsion, and extensive sound functions. 4 axles powered. Traction tires. The frame is articulated to enable the unit to negotiate sharp curves. The headlights will work in conventional operation and can be controlled digitally. The acceleration and braking delay can be controlled digitally. The model is finely constructed with numerous, separately applied details. Length over the buffers 20.3 cm / 8". This model can be found in a DC version in the Trix H0 assortment under item no. 22059.